Should I Be Tested for a Learning Disability? For Lori Waters, creating equitable experiences for individuals with disabilities isn’t just her work – it’s personal. Waters’ passion for disability rights first took hold during her previous career as a music industry publicist, when she witnessed one of her coworkers being removed from a flight simply because the airline would not accommodate their disability needs. Her advocacy and desire to make a difference grew even more when her two children were diagnosed with disabilities. 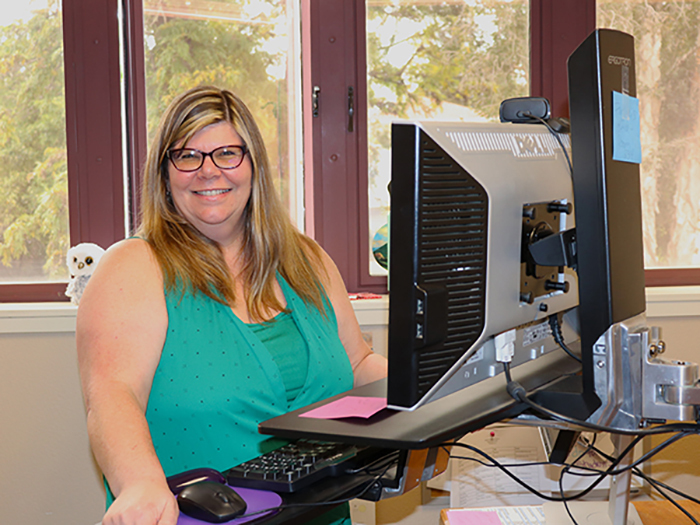 These days, she pursues her passion as an Access Specialist for Cal Poly’s Disability Resource Center (DRC), a role in which she strives to level out the playing field for students with disabilities. Waters recently sat down with us to give us a glimpse into her role, her approach to working with students, and misconceptions about accessibility. What motivated you to pursue a career in higher education as an access specialist? It really came from my having children with learning differences. One of my children has pretty severe dyslexia and it was a challenge to get them through the school system because, believe it or not, there are some schools that don’t recognize dyslexia as a learning disability. Of course, this was a few years ago because she’s older now so hopefully things are getting better! But it turned me into quite an advocate who sees disability rights as a justice issue. I believe everything should be accessible to everyone. It shouldn’t be that someone’s invisible or visible disability causes them to be at a disadvantage from anyone else. So, it’s pretty close to my heart that people receive what they need to have fair and equal treatment, and for the classroom to be accessible for all. What is your primary role as an access specialist? As students apply for DRC accommodations, we look over their documentation and confirm their disability. We then meet with them for an intake appointment, where we interview them and find out challenges they’re having in the academic environment that are related to their disability. Finally, we then determine accommodations that will help make the academic environment more accessible for them. We’re evening the playing field so that they’re on the same level as their peers. That’s our primary role. I am also the coordinator for all deaf services on campus, so I work with all our deaf and hard-of-hearing students and coordinate sign language interpreters, speech-to-text interpreters, or any accommodations they need for communication access. Also, when people are having events around campus with deaf attendees coming, I will make sure we have an interpreter, captioning, or whatever we need to make that accessible for any deaf and hard-of-hearing in the audience. What is your personal approach to working with students who need accessibility services? The most important thing is to listen and not assume anything. We want the student to tell us what they need because they know better than anybody, after living with their disability, how to manage it. In some cases, the student may ask for more help, especially in that transition from high school to college. A lot of students, especially those with learning disabilities, have support people in high school who may do everything for them. As a college student, you’re an adult and you’re doing everything on your own now. So, we help with some of that transition so that students learn how to advocate for themselves and ask for what they need to become independent adults with a disability. We also partner a lot with the Department of Rehabilitation, which is a state organization that helps students and young adults with disabilities get their education and a job. Are there any moments that stand out to you in your work with students? Tons, because we have the most amazing students here at Cal Poly! It’s always fun to see our students, especially ones who may have had a major event or disability surface during their college years, learn to incorporate these changes into their life, be successful, and get their degree. That’s always so awesome to see. We get a little teary around here every spring when our students, who we’ve been working with for years, graduate. There’s just so much pride in that. All of our students are so engaged and intelligent. I have a couple of students who I think will invent something, do something amazing for society -- they’re just really brilliant students who I have the privilege to work with. What would you like the Cal Poly community to know about students with disabilities? Are there any misconceptions you’d like to clear up? I’d say a couple of things. One, society as a whole has to really work on understanding that invisible disabilities are disabilities. Just because you may not be able to see something, you have to understand that it is still there. A lot of times we get people who may not understand why someone has an accommodation, and it’s because they have an invisible disability. We need to promote an understanding that there’s a lot of health diversity and different disabilities that don’t present themselves in an obvious fashion. It’s important to be respectful. I guess what I’m saying is be open to realizing that you never quite know what’s going on with another person, so be careful in your judgment. Another thing is to realize that everyone can participate in most things with accommodations. Someone may have a disability that initially seems like it may not match with the class they’re in or the activity they’re doing, but there is likely a way that they can do that activity with appropriate accommodation. Again, it’s just about being careful with your judgments and realizing that everybody is in a different space and may have something going on with them, so be respectful of that when something you don’t understand presents itself. We all need to be gentle with one another and accept where we’re at in our journeys in life. Interested in supporting the Disability Resource Center? Visit Give Today - Support Student Success. For additional information, visit the Disability Resource Center website. 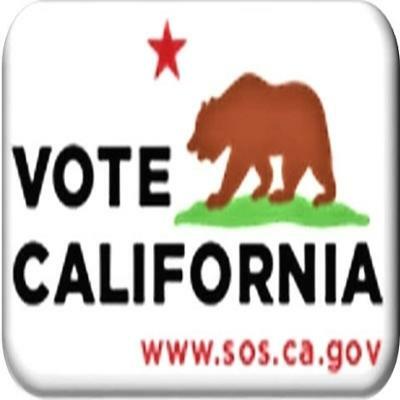 Press the button below or visit California Online Voter Registration to register to vote today. The Disability Resource Center (DRC) cultivates an accessible and inclusive community where students with permanent and temporary disabilities have an equal opportunity to participate in all aspects of campus life. We facilitate student learning and access through partnerships with students, faculty, and staff. For general information or specific questions complete the DRC Quick Response Form, and a staff member will contact you as soon as possible. Thanks to the generosity of Kennedy Library, all Cal Poly campus members can now use a free self-service, alternate media solution called SensusAccess. This service automatically converts files into a range of alternate media including audio books (e.g., mp3), e-books (e.g., EPUB3, Mobi) and digital Braille. It also converts inaccessible files, such as image-only PDFs, into more accessible ones. Select Convert a file to use SensusAccess. Please note that SensusAccess is a supplement to the DRC Alt Media Services, not a replacement for it. Scholarships and Grants Now Available! By clicking on the link below, you will be able to view a list of scholarship opportunities the Financial Aid office received from outside organizations. This list is updated weekly and includes those scholarship opportunities with due dates within the next 4-6 weeks. We recommend checking the list regularly throughout the year as the scholarship listings will change. Please check out the Mobility Equipment Rentals page for information about local organizations and companies that loan or rent wheelchairs. The DRC is committed to ensuring that its website is accessible and usable to everyone, including people with disabilities. Therefore, the DRC has designed its website to conform to level AA of the World Wide Web Consortium (W3C) Web Content Accessibility Guidelines 2.0, which explain how to make web content more accessible for people with disabilities. If you are unable to access any content on this website, please contact Rita Gonzalez (mgonz154@calpoly.edu) or John Lee (jlee245@calpoly.edu) for assistance. We welcome your feedback and suggestions on how we can improve access to our website.